It’s been a long, rough winter, but spring is finally upon us! The flowers are blooming, temperatures are rising and even the rain is a welcome relief after months of snow and ice. It’s a season for change and an exciting time of transformation, what better way to kick start the season than with a cool and refreshing new vape? 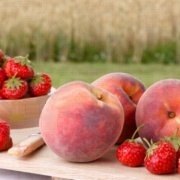 Nothing says spring like fresh cut strawberries and tangy fruit, but we’re not talking about boring one-trick ponies, we’re talking medleys of sweet, fruity deliciousness! Here are some of my favorites and a few other Spring e-juice flavors worth giving a shot. * With hundreds of tasty e-liquids on the market, this is just a small list of personal suggestions. 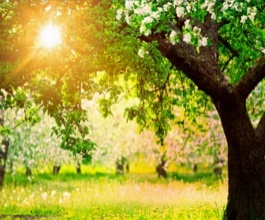 Please share your favorite Spring e-juice flavors in the “Comments” section below. The perfect marriage of ripe juicy strawberries, peaches and awesomeness can be found in NicQuid Strawberry Fuzz! It is a tornado for the senses and won’t disappoint. Notes of coconut, mango and citrus come together in this deliciously tropical and fruity vape. 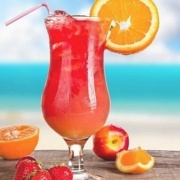 Spring Break e-juice will take you away from the daily grind and have you dreaming of tropical locations. 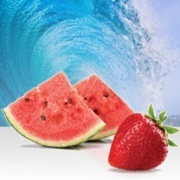 The pairing of Watermelon Wave with Strawberry is loved for its sweet, clean, juicy flavor that is all about refreshment. It is the perfect pick-me-up, and can make your vapor explode with deliciousness! This flavor was inspired by a notorious pub drink found in England. The secret ingredient? 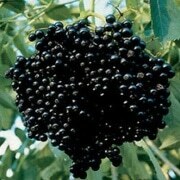 A dark, mysterious berry flavor that will make you crazy! Sweet, complex and dangerous, this flavor bites! How about a tasty margarita or a refreshing can of carbonated lime soda? 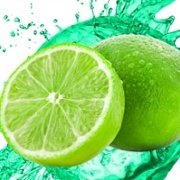 Baja Burst is a lime and citrus treat; tangy, sweet and a bit tingly. Perfect for relaxing on a beautiful spring afternoon! A fusion of tropical fruit flavors with an effervescence that makes it taste just like the popular soft drink. It’s a delicious fruit punch with a lot of citrus and loads of vapor. Not too sweet, but enough to satisfy your sweet tooth while leaving you refreshed and hooked. In my opinion, strawberry is the perfect spring e-juice flavor! I’ve recommended strawberry / peach and strawberry / watermelon blends, but this is a slightly tangier combination of strawberry and pomegranate. Tangy, sweet pomegranate on inhale with a smooth and refreshing strawberry exhale. A pleasure for my taste buds! A pina colada mix with a soft menthol kick, Halo’s Malibu e-liquid is a lightly sweet combination of pineapple, citrus and coconut, with a refreshingly cool aftertaste. A smooth and complex blend of tropical flavors, without being overly sweet or minty. 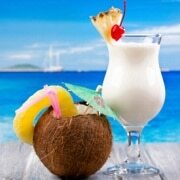 Malibu e-liquid is best described as a frozen Pina Colada twisted inside of a light menthol wrapper. 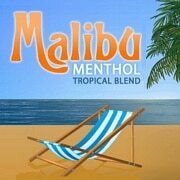 Malibu has a nice smooth flavor that is perfect for vaping poolside or at the beach. 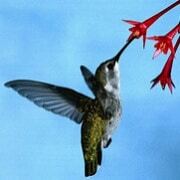 The throat hit is relatively light with no harshness, and the aftertaste is pleasantly sweet. This tropical e-liquid flavor is highly recommended for a refreshing springtime vape. If you’re feeling a little adventurous this spring and would like to try something out of the ordinary, Organic Hummingbird Fuel is a uniquely spicy floral blend with hints of natural honey. Virgin Vapor offers several award-winning floral creations (Bed of Roses, Blue Violet, Blooming Jasmine and more) that are definitely worth checking out if you’re sick of the same old fruit and dessert flavors. This complex and adventurous flavor is a beautiful mix of floral notes and fragrant honey. If you’re a fan of our award winning floral flavors or looking for something unique, this one’s for you! 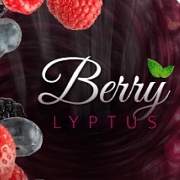 Berry Lyptus is one of my new spring e-juice favorites, a flavor similar to the extremely popular Mt. Baker Vapors’ Hawk Sauce. This one is a bit more berry-ish and sweet, but it includes the same light, minty cooling sensation. An excellent berry, menthol mix! Cool, creamy and undeniably dreamy, this union of ripen mixed berries is soothingly delightful and totally refreshing. Tangy black currant, succulent strawberries and tasty raspberries complemented with a hint of sensory awaking natural Eucalyptus mixed in a smooth-body of fruity notes, makes this juice oh-so berry fine and yummy. 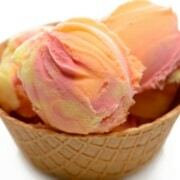 A creamy combination of fruit flavors, just like the popular springtime treat! Mt. Baker’s Rainbow Sherbet is nice and sweet (especially with a few extra flavor shots), with a strong emphasis on orange and lemon, and a light cherry undertone. Super delicious! Three fruity flavors and just a hint of cream squeezed into one great tasting flavor. Features notes of orange, lemon and wild cherry. It’s light and refreshing vape and great by itself as a palate cleanser.